Former President George W. Bush says he hopes that his brother Jeb runs for president but that he has “no clue” what the former Florida governor is thinking about 2016. 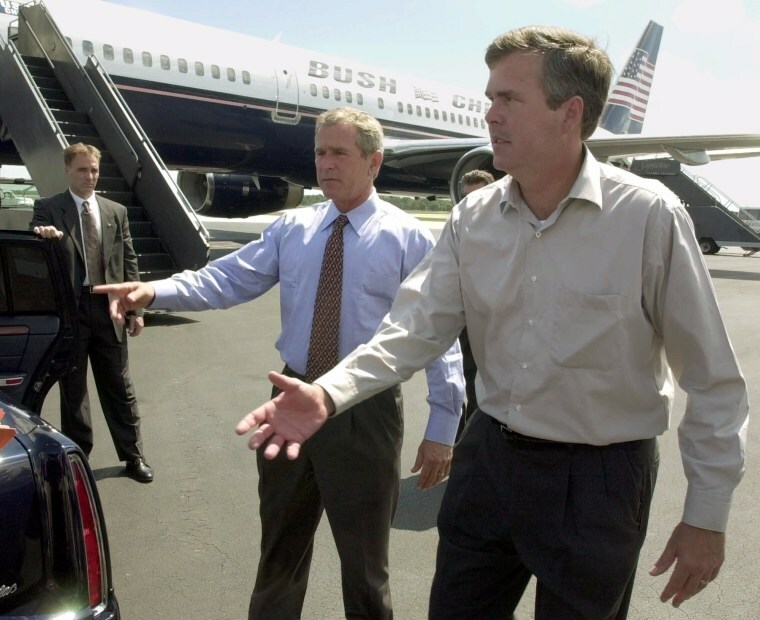 Bush said that Jeb is “checking his core” and that he knows from his relatives’ political careers what kind of toll a presidential run takes on a family. “Hey Jeb, if you need some advice, give me a call,” he added, smiling. The latest NBC News/Wall Street Journal poll showed some potential hurdles for the former Florida governor if he were to run. In the poll, 21 percent of respondents gave Jeb Bush a favorable rating while 32 percent viewed him negatively. The same survey showed that seven in 10 Americans said that they’d like to see presidential candidates without the last name Bush or Clinton.